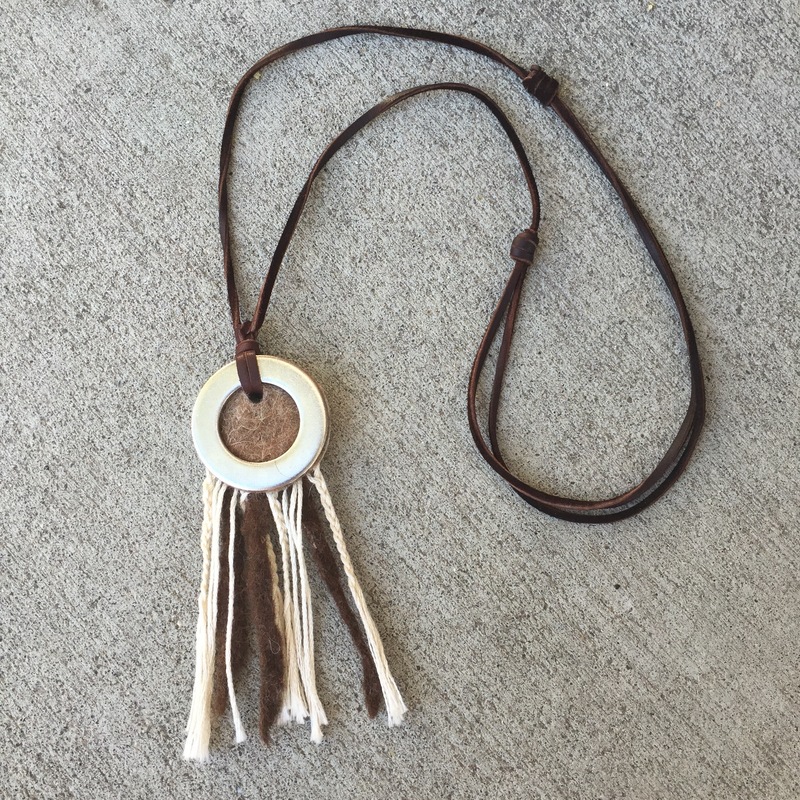 The dreamcatcher has has become a popular feature in retail displays, home decor, and DIY craft sites. I also created my own version of this Native American handmade object, blogging about it here. I am inspired by all things handmade, and do not mean to offend by misappropriating sacred symbols. By interpreting the concept and adding my own meaning, the object is transformed into something that reflects the past but is open and inclusive of the present. This latest felted necklace has been in my Etsy shop for awhile, but I wanted to share the meaning behind it. First of all, it is another example of spontaneous creativity. Little stacks of felt pieces and stainless steel washers sat untouched on my work table for weeks. Frankly, I am bored by production. Making one or two of any one thing is quite enough for me. Making more requires a level of commitment that is more occasional. So while avoiding making more necklaces, I was making more wet felted wall pockets (among other things.) All scraps and cut edges were saved in a bin. And this is how a new necklace came to be. 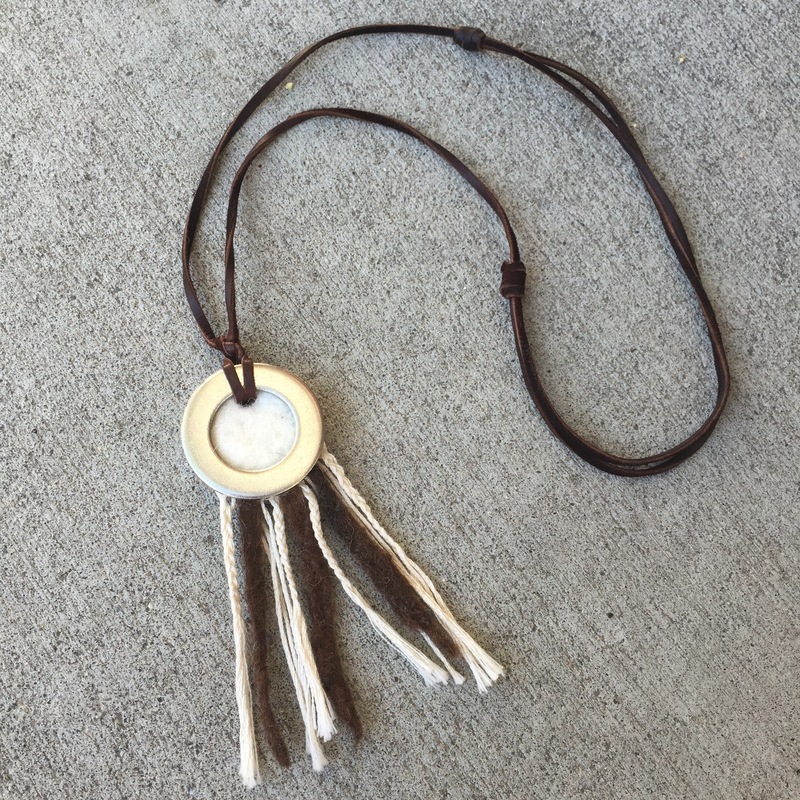 A combination of the cut scraps from the wall pockets and the washer necklace. The scraps became the fringe. Braids of alpaca yarn were added in between the felted fringe. The final piece reminded me of a dreamcatcher. 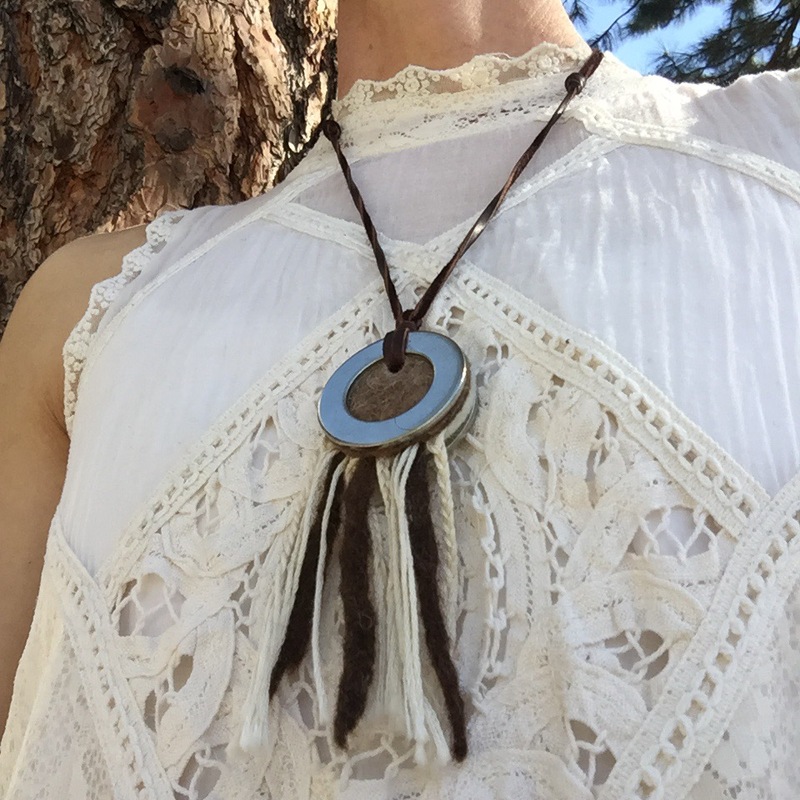 As a necklace worn near the heart, I like to think of it as a catcher of love and optimism.